It a strange question. Isn’t it astonishing how many people say “I am not creative” or believe “innovators” are so much different from themselves. As if innovators are an enlightened lot of geniuses that come up with breakthrough innovations that nobody else could have thought of or made happen but them. 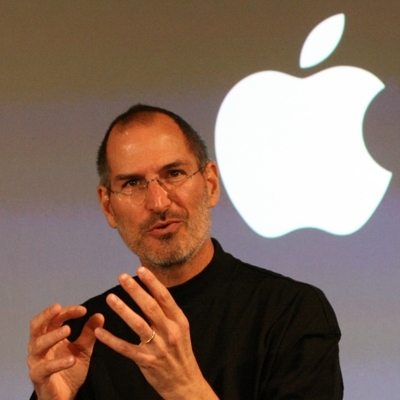 Icons such as Steve Jobs (Apple), Elon Musk (Tesla) or Jeff Bezos (Amazon) stand out. They apparently think differently and changed the world. The question for the rest of us is: could I be a Steve Jobs too? Or do have to be born gifted to be able to innovate in ways that “make a ding in the universe” like Steve Jobs? Are you a Steve Jobs? If you ask kids in kindergarten or preschool if they are creative, they enthusiastically respond “Yes!” At that age we are convinced we are creative and express our views, thoughts and ideas in many ways. We design rockets to Mars or create new animals, nothing is out of bounds or out of reach. What has happened to us that we believe as grown-ups and employees we can no longer create and change the world? I heard “I could never do that” and “nothing will change anyway” too many times. Good news is that genetic predisposition only attributes one-third to your creativity and innovative-ness (if this is a word), while two-thirds are skills that can be learned, as research confirmed many times over (see Marvin Reznikoff et al, Creative abilities in identical and fraternal twins, Behavior Genetics 3, no. 4, 1973). Therefore, innovation can be taught, “nurture trumps nature.” So, you can learn it too! However, not everyone wants to take the risk and uncertainty to make an entrepreneurial dream come true by starting a new business on their own. Many of us work in large organizations and would like to improve the company from within somehow. So is there anything that great innovators share and which we ‘mortals’ can replicate or do similarly to succeed? – In fact, there is! This comes down to the four following behaviors, as Christensen found out: questioning, observing, networking, and experimenting. While, typically, the underlying information is not unique, the innovator’s associative thinking combines information and connects dots that seem random or unrelated to others. They create a picture or vision of a need or opportunity to pursue. Now, on your way to become an intrapreneur (or entrepreneur), how can you get to these insights, find a suitable target and make it happen? An African proverb says “If you want to walk fast, walk alone; but if you want to walk far, walk together”. Developing and bringing a disruptive idea to life takes time, work and -more than anything- collaboration. It’s not a fast shot and you will need help. What you can do is tapping into more brains: ask others and bring together a diverse team around an idea. You want to get as many different perspectives to see the fuller picture, risks, needs, opportunities to tackle the problem you are working on. You may be blindsided or unaware of things critical for your success including much needed political cover, validating your assumptions or technical aspects outside your expertise. If you try to do everything yourself, you are setting yourself up for failure for a simple reason: you are not an expert in everything! Stick with what you are good at and let other experts help you with what they are good at. If you want to start your own business as an entrepreneur, you may want to move where you find the best condition for a supportive business environment, an ecosystem. For entrepreneurs, for example, Stanford University and Silicon Valley remain a major tech magnets with ample and easy access to top talent and money. Also accelerators can serve this purpose. Comparable conditions for an innovative ecosystem exist at the US-East coast in the Boston area. Depending on your business idea, other locations and ecosystems may be more suitable – do your homework and find the right one for you. As an intrapreneur, your available ecosystem seems more limited: it typically is the company you work in that defines the perimeter of your freedom to navigate. Your advantage here can be that you already know the environment and who could be supporting or funding your idea. If not your, you could more easily ask colleagues for help than people outside your company could, which significantly lowers the bar for access to resources. Let’s continue by focusing on intrapreneuring. Compared to the entrepreneurial world out there, within an organization you may have more opportunities to help shape the fertile ecosystem for breakthrough ideas if none exists yet. Now, if you are stuck with a company that does not provide an environment that supports intrapreneuring, you may consider becoming the innovation leader (see How to become the strategic innovation leader? (part 2 of 3)) to build an ecosystem within a large organization. – Stay tune to find out how.